UB10 West Ruislip Steam & Dry Upholstery Cleaning Experts | RDA Cleaning & Maintenance Ltd.
Our company provides expert upholstery cleaning services in West Ruislip UB10 area. With years of experience behind our back RDA Cleaning & Maintenance Ltd. has managed to provide quality home and office cleaning services at affordable rates and great final results. All of our upholstery cleaners are experienced, fully insured and ready to tackle all nasty spills, spots and discolorations. Give us a call at 020 3404 1646 or use our booking form and our call center reps will quickly respond and offer you a great deal. We can book you a same day appointment. No extra fees. Free inspections - we will come and see what can be done with no price attached. 24/7 customer support that will answer to all your needs. Eco-friendly, child and pet safe detergents. RDA Cleaning & Maintenance Ltd.'s experienced upholstery cleaners in West Ruislip UB10 had worked with a wide range of upholstery material and types of furniture. We can comfortably clean suede, settee, cotton, silk, Kashmir, plush, wool, synthetic, blends between synthetic and natural fibers, nubuck, sisal, leather and a lot more. An upholstery cleaning method devised to deal with sofa fabrics that are not water resistant. This is especially true for velvet, suede or other materials with a similar structure. In this case a special powder is being used. Keep in mind that this is more of a refreshing service than a cleaning one. Our cleaners begin by inspecting the materials from which the upholstery is being made from. Then they continue with the pre-treatment of all the high traffic areas, dirt patches and stains by applying the proper detergents. After this, a powerful solvent is applied by a machine. It comes from the machine at high pressure and thas way it gets deep enough into the materials to combine with the dirt and grime. It is all then sucked out by the same machine. This process is a delicate one that ensures that the fibres are not being damaged ever. Our team has experience with the cleaning of a variety of sofa & chair upholstery materials from natural to synthetic leather, settee, cotton, silk, plush, sofas, love seats, dining chairs, suede sofas, line, organic fiber, wool, chenille, nubuch, acrylic and quite a lot more. All of this is done with organic detergents to guarantee the safety and well-being of your family or office staff. First-Class Upholstery Cleaning Services In West Ruislip UB10 - Booking Us Is Simple! 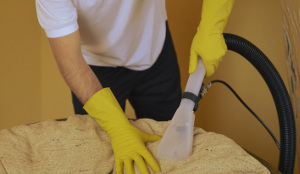 To book our professional upholstery cleaning service in West Ruislip UB10, call 020 3404 1646. Our customer support staff is more than ready to help you when choosing the best treatment for your home or office upholstery. The nearest tube station serving UB10 West Ruislip is West Ruislip.